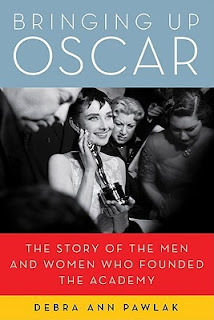 I started reading Bringing Up Oscar: The Story of the Men and Women Who Founded the Academy eager to finally fill the gaps in my spotty knowledge of the early Academy Awards. By the time I got a couple of hundred pages into the book, waiting all the while for more Oscar history, I realized this was not to be. Though Oscar is prominent in the title, there's not much of the specific story of the awards in this chaotically organized, but frequently engrossing history. The subtitle is a more accurate representation of the book, because every one of the first 36 members of the Academy of Motion Picture Arts and Sciences gets some attention. These stories vary in detail and interest, but together they form a compelling group. The people who founded the Academy of Motion Picture Arts and Sciences are essentially the men and women who built the company town known as Hollywood. They are the stars, leaders and craftspeople who innovated, set standards and gave structure to an industry that badly needed a focal point. Bringing up Oscar tells the story of these professionals and how they worked together to make movies and the framework to support them. Some stories, such as the legendary lives of Mary Pickford and Douglas Fairbanks, will be familiar to many classic movie fans. Others, like the life of scriptwriter Jeannie MacPherson or director Fred Niblo, are less well known, but intriguing. It all adds up to a fascinating and detailed, if disjointed tale. One of the significant problems of telling this story is how closely intertwined the lives of the early Academy members were. 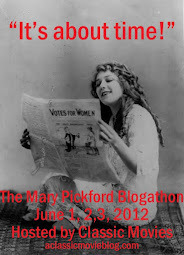 A biography of Mary Pickford must include Douglas Fairbanks. Likewise, Pickford played an important role in Cecil B. de Mille's career. In telling all these stories, the connections invariably result in a great deal of repetition. It also led to some eerie rebirths. In one instance Louis B. Meyer died, only to be back again a few pages later to sign a new contract. Still, Pawlak clearly loves her subject and her eye for detail elevates the quality of the story in several instances. She has gone deep with her research and told many stories about the birth of Hollywood that, while they aren't a part of popular legend, should be. That alone makes this book a powerful read. Pawlak also frequently dips away from the narrative to share bits of trivia, as if she can't wait to dish about a new anecdote. I liked this quirk. It was fun learn tidbits such as that Rin-Tin-Tin lived across the street from Jean Harlow. Apparently the platinum blonde held him in her arms, sobbing, when he died. Though I didn't get what I'd hoped for from Bringing Up Oscar, it told a fascinating story, rich with detail and historical background. I could see going back to read select pages of the book, just to make sure I absorbed all the details. In fact, this may be the best way to avoid feeling overwhelmed by the avalanche of stories about these diverse and determined pioneers. Thank you to Ms. Pawlak for providing a copy of the book for review.